Given the amount of development between the TRGpro and the HandEra 330, I'm *extremely* excited about this new upcoming handheld. 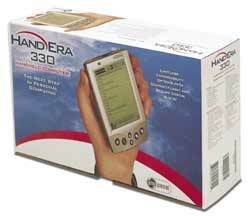 If you can do without the color (Count on it adding $100 or more to the sticker price), then I definitely suggest you consider the HandEra 330. It's both evolutionary *and* revolutionary.